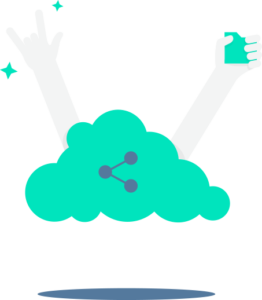 Share your data in an easy and secure manner with people outside your organization. 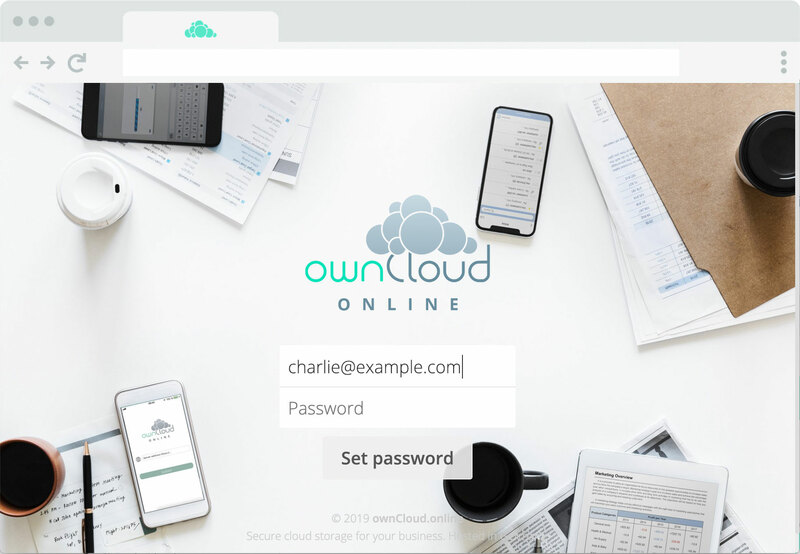 Except for a few restrictions, the full ownCloud Online functionality is available for Guest Users. This extends the protection of your data without any restrictions beyond your company boundaries and offers a holistically secure and convenient way of working together. Alice clicks on the Sharing-Icon (1) to share a file/folder with Charlie. Charlie has no internal account as he works for a third party. She enters his email address in the search bar (2). As the system does not know this email address, Alice can now add him to her cloud (3). The share is created (4) and a guest account for Charlie is automatically prepared . The system notifies him via email. Charlie receives a notification email. With the link included he can now set up his guest account. Charlie is prompted to set a password in order to use his guest account. 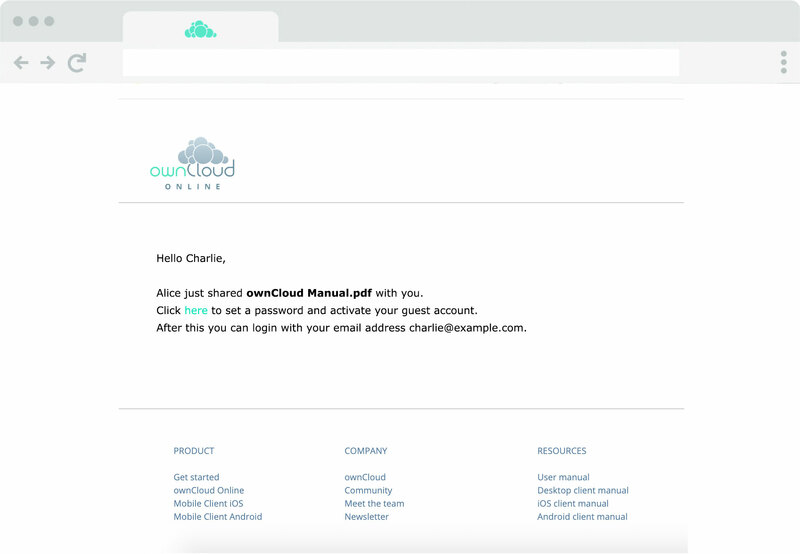 After logging in Charlie can work with Alice in her cloud. He has access to all files/folders shared with him (6). Alle files are secure, versioned and backup’d. Guest Accounts are even able to use the desktop and mobile clients. See the sections below for more details. 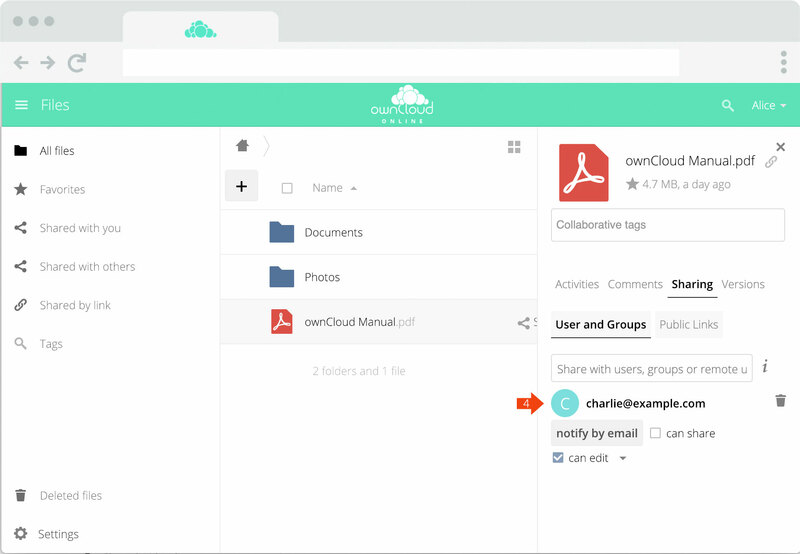 ownCloud Online keeps you updated. Learn more about Notifications and the Activity Stream. Guest Accounts are not only a powerful addition to your own workflow. Guest Users are even able to use the Desktop and mobile clients! This offers not only a very comfortable but also very secure possibility to collaborate with others. Guest Accounts do not need a user license. It’s included in the initial price and you can use them without any additional costs. In addition to the periodically sent activity emails (default: once an hour) the user can be immediately notified about the new share. 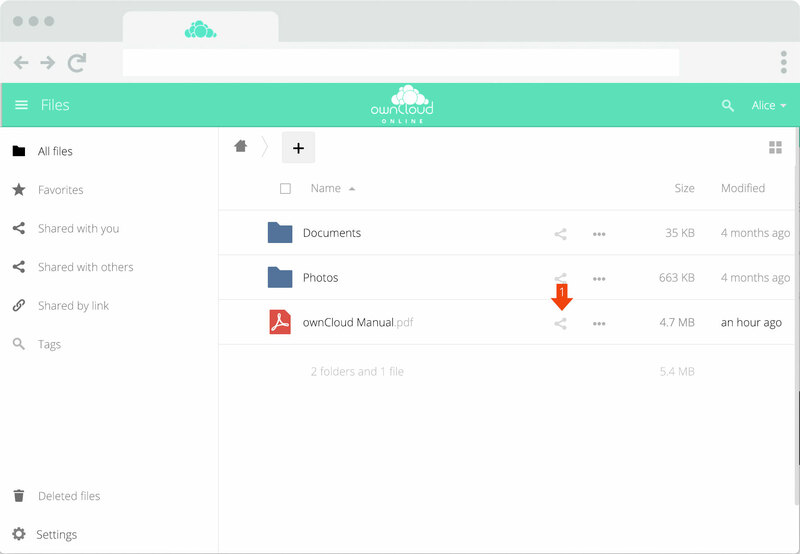 If checked, the guest user is able to share the file/folder again to other people. Disabled per default. If checked, the guest user is allowed to modify the file. While change (edit files/folders) is available for files also, create (add new files/folders), and delete (delete files/folders) are available for shared folders only. Remove the share. 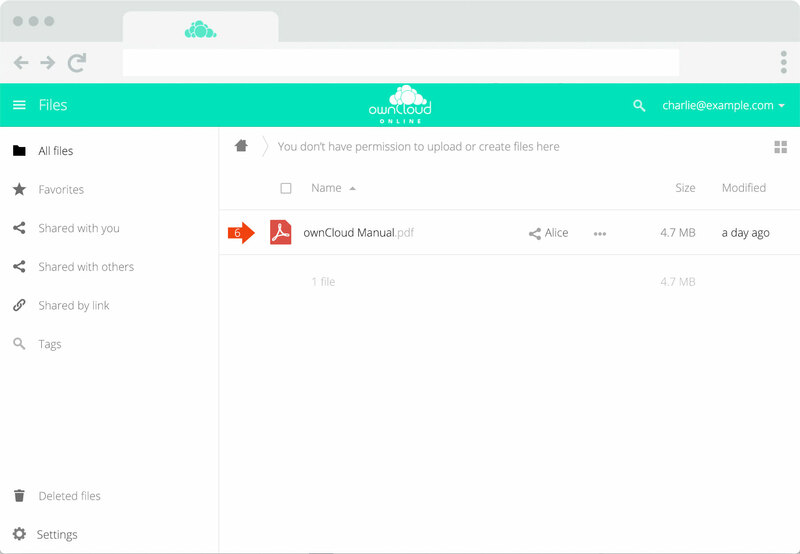 Guest User won’t have access to that file/folder anymore. This does not delete the created Guest Account. Only admin can remove Guest Accounts.